Italian Christmas desserts: Milan’s Panettone, where is the top one!? 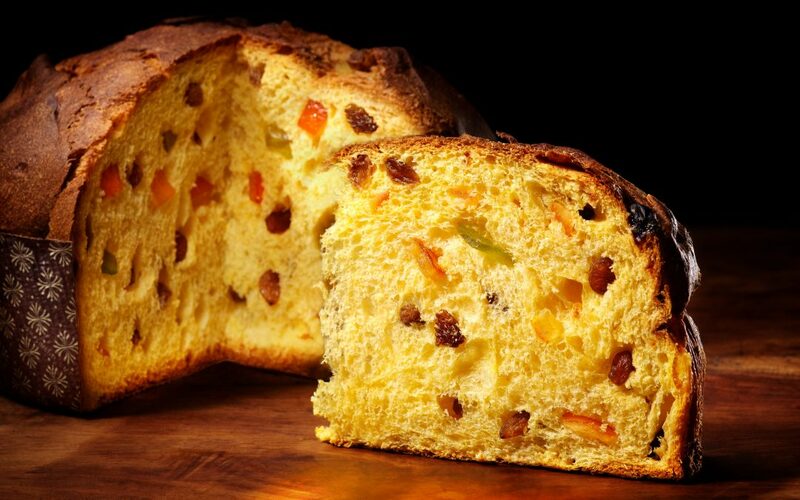 Today, to get the Christmas spirit, let’s talk about Italian Christmas desserts, spotlighting the panettone of Milan. Some go in for the version with candied fruit, some like it without, some prefer “pandoro”, and others only allow themselves a taste of “torrone.” Everyone has their favorite Christmas dessert that they won’t give up. Today, we’ll tell you all about the oldest, best-known Italian tradition in desserts: the “panettone” of Milan! There are two stories about panettone’s origins, both smack a bit of legend. The first account stars Messer Uliver, a falconer who lived in the Grazie area in Milan. He fell in love with Algisa, the baker’s beautiful daughter, and her father took him on as an apprentice, where he tried his hand at inventing a new dessert to improve sales. He mixed the usual bread ingredients, added raisins to it, and it was a smash hit. And so the father gave his blessing to the young couple. So, to which pastry shops should you go to eat authentic Milanese panettone? Italian Christmas desserts: the panettone at Pasticceria Marchesi in Milan. Every city in Italy has excellent Christmas desserts these days, and each one has its signature creation. But today let’s talk about the best panettone around Italy. Let’s start from central Milan, specifically the Galleria Vittorio Emanuele, where the Pasticceria Marchesi presents a panettone in elegant packaging. Among the wares is the famous Milanese dessert presented in an ultra-fine velvet box lined in silk. Quite a fancy touch! Let’s stay on Via Montenapoleone and head to Pasticceria Cova Montenapoleone. Here art and skill join hands in one of the finest pastry shops of Milan‘s fashion district. They add chocolate to the classic panettone recipe and decorate them with sugar paste, making these panettone true works of art. Fun little Santa Clauses are the best-known subjects. Vegan panettone from MilanVeg are not only ethical, but light and flavorful, too. They offer four recipes, made with care to not lose the traditional panettone taste. From tradition to innovation, from classic to fanciful. Milan, a true metropolis, is waiting to impress you for these upcoming Christmas holidays. Italian Christmas desserts. What about the rest of Italy? Let’s end with a quick mention of pastry shops in other Italian cities. 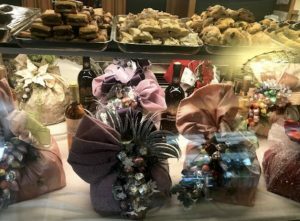 In Florence, an exceptional panettone is to be had at Pasticceria Giorgio, which specializes in classic panettone and those with chocolate or walnuts. In Rome, the prize this year for the best panettone goes to the famous Antico Forno Roscioli! Plus, we suggest stopping at the restaurant inside the bakery here, where you’ll find a lovely atmosphere and fabulous food. Want a suggestion about what to eat other than panettone? The “cacio e pepe pici” — a handmade pasta with cheese and pepper sauce — is a true treat to please any palate!